There is nothing more beautiful to me than the Black family and it seem like everyone has been talking about the Black family lately, particularly since the election of Barack Obama as the nations first African American President. Black women definitely have gotten too much press lately regarding why so many remain single. Something crossed my mind the other day: frankly, I feel that in many cases, it's Black women who are teaching their sons to marry non Black women inadvertently by not being married to their children's Black father. Babymommas are a symptom of dysfunction, not pride. The access to birth control is too readily available to continue the OOW birth cycle. And it's just foolish to bring children into the world if you can't take care of them financially. It's sad to think of all the Black children growing up without fathers--constantly being reminded of being a symbol of a careless hook-up rather than the joyous result of two married people in love. Children learn a lot from their parents and one of the things they learn is how to love one another. If a Black child does not see his own mother being loved, cherished and provided for, but he sees his mother alone and abandoned; this becomes the paradigm of how he will view Black women in general. Adding to this, he sees other Black women in his community and family being treated this way--his interpretation becomes that there must be something wrong with Black women, thus, he avoids the thought of being with one. Statistically, the majority of Black men marry Black women, but if there is some clarity to be offered; If you want your sons to marry Black women--it's most proactive to perhaps to think about becoming wives before becoming mothers. So many young Black children watch images every single day that tell them that they are not valued by this society. Many internalize those images. The image of white women typically is that she is the standard of beauty--the one ALL MEN are supposed to desire. All men don't desire white women. But not having balanced images, particularly in the home and community, validate this presumption created through the lens of White America. We reap what we sew and for those Black mothers who have been forced to accept white daughter-in-laws; perhaps it wouldn't be the case if your son saw you being the object of his father's affection. And our young Black girls would become esteemed in the process by becoming their natural choice for wives. There is absolutely NOTHING like leading by example. 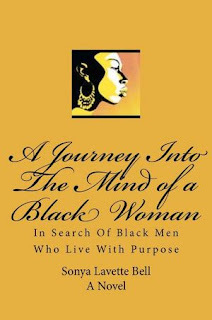 That is frequently a message missed by many Black women in childrearing---the opportunity to demonstrate Black love by first learning Black self-love.